A good sense of humor provides a broad range of important benefits to children. Funny Yummy Studio believes that kids’ sense of humor is essential to their development. There are too few apps that stimulate the development of the sense of humor in children. We want to change this. Therefore Funny Yummy Studio develops kids book-, game-, entertainment- and educational-apps with a sense of humor in characters behavior, design, animation and sounds. 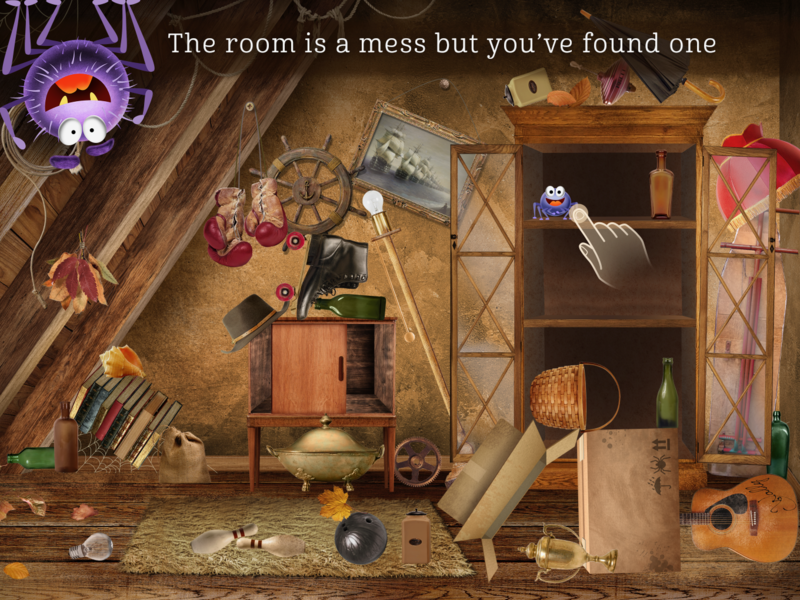 Wally Family Adventure is a rummage seek and find game. Six fun-loving baby spiders switched off the light and ran for it. They were here just a second ago and before you know it they can be pretty much anywhere. 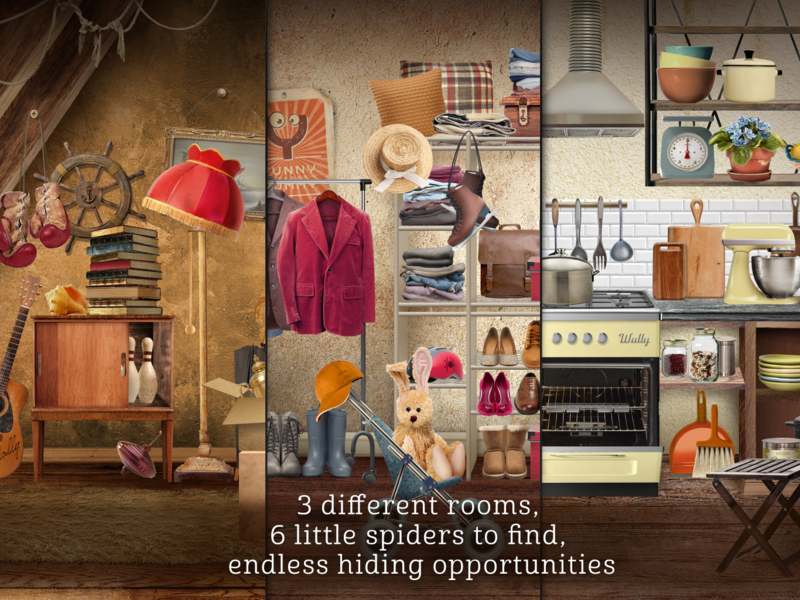 Pull, throw, pile, roll, toss up the objects in the room - don’t worry about turning the room upside down – it is more important to help Papa Wally to find his spider cuties! 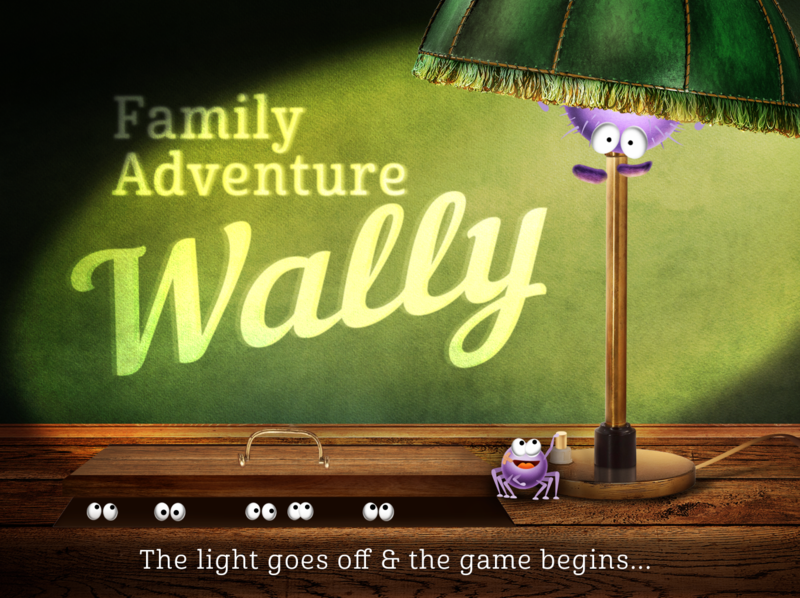 Wally Family Adventure is not about the rules or performance of the player. It is about the process and the imagination. 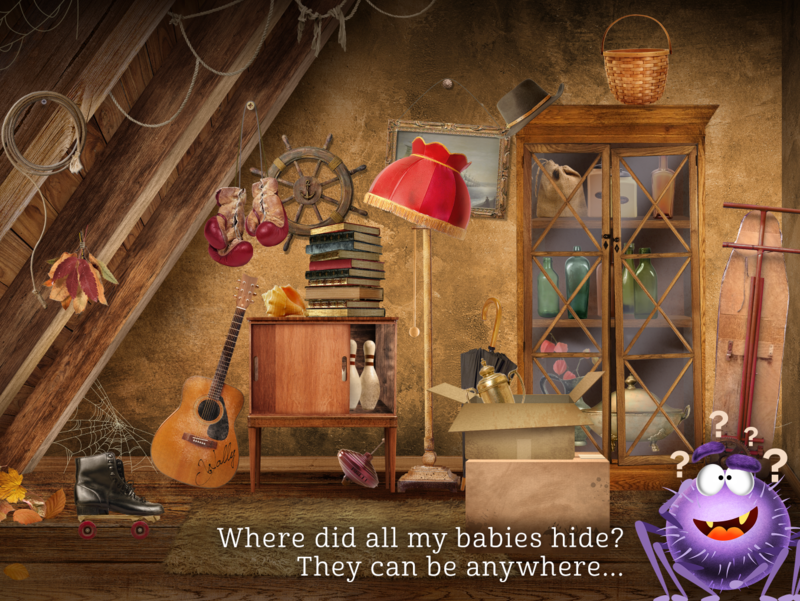 The app has an entertaining vibe with fun music, friendly characters and interactive object play. Take a look at another Funny Yummy Studio Game "Catch the Wally" and "Funny Yummy".